AURORA, Ill. (AP) — Authorities have released the audio of 911 calls reporting a shooting at an Illinois warehouse that resulted in five deaths. One caller in the Feb. 15 recordings tells the dispatcher that he’s hiding in the Henry Pratt Co. facility in Aurora and pleads for help to be sent quickly. “I heard shots. I don't know if anybody is hurt,” the man says. “But as a matter of public interest and our ongoing commitment to transparency within our community, we agree that you have a right to hear the courageous souls who helped us bring this horrible tragedy to a swift conclusion,” police said. Authorities say Martin started shooting after he was fired from the position he had held at Henry Pratt for 15 years. 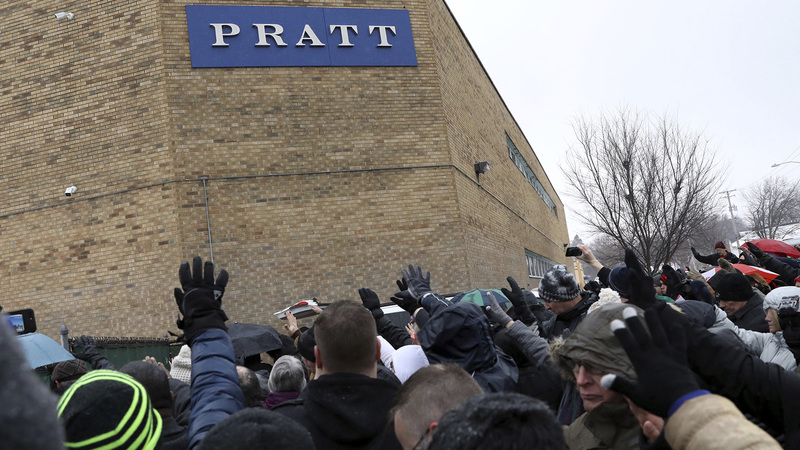 Five warehouse employees were killed and six officers were injured. Martin died in a shootout with police. Police identified the slain workers as human resources manager Clayton Parks of Elgin; plant manager Josh Pinkard of Oswego; mold operator Russell Beyer of Yorkville; stock room attendant and fork lift operator Vicente Juarez of Oswego; and Trevor Wehner, an intern and Northern Illinois University student who lived in DeKalb and grew up in Sheridan. Police also announced this week that the injured officers were John Cebulski, James Zegar, Reynaldo Rivera, Marco Gomez, Adam Miller and Diego Avila. Officials say they’ve all been released from the hospital and are recovering.